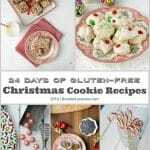 Mint M&M Forgotten Cookies and Baking Cookbook Giveaway! Are you ready for Holiday Cookies? Somehow the day following Thanksgiving is somewhat of a comatose one, or at least a day where people actually relax a bit between preparing for the turkey feast and launching into the cheer of December. Black Friday and Cyber Monday have been stretched to almost five days with many retailers hopefully relieving the urge to shop at 3 a.m. or for any tramplings this year. It seems a good time to start turning the corner toward seasonal sweets. I did some holiday ‘baking’ early this year to kick off your December with some delicious options. I lied, actually. I did not do any baking but I do have some great no bake treats. 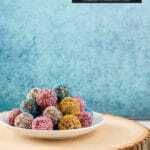 Chocolate Lavender Fudge with Salted Caramel Top was my kick off and a delectable, easy to make option for the holidays. The unique flavors of lavender mixed with chocolate, topped with caramel is fantastic and if you are more of a fudge purist, the caramel can be left off allowing the fudge to stand on its own. Today I have an update of a favorite cookie my Grandmother used to make when I was a child: Forgotten Cookies. 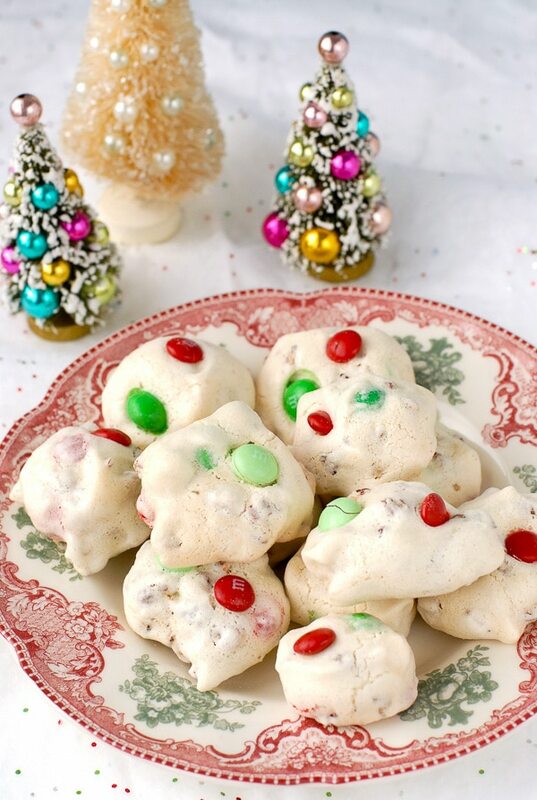 Basically a meringue chock full of chocolate chips and pecans, the flourless cookie batter is whipped up, scooped onto a baking sheet and placed in a preheated oven which is turned off allowing the cookies to set, ‘forgotten’, overnight. When rising in the morning, you’ll be greeted by a tray of prim, white cookies while have set overnight. They have a melt-in-your-mouth, light, airy quality and are a bit kinder on the waistline than some holiday cookies can be! I have been a bit obsessed with Mint M & M’s and making something with them. 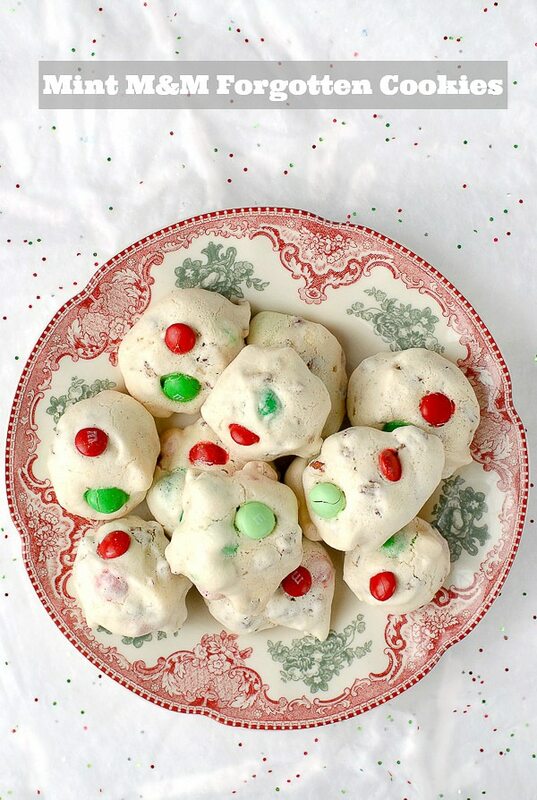 After a few experiments I decided to convert Nana’s Forgotten Cookies into a Christmas-colored mint version using mint M & M’s. There are two options available, the first being Mint M& M’s which come in three shades of green (love that) or a holiday version which comes in a green, red and white mix. I opted for 3/4 ‘s of the green mint and ¼ of plain red M&M’s for color purposes. The M&M’s are very minty so if you want to tone them down, interspersing non-mint chocolate version is the way to go. 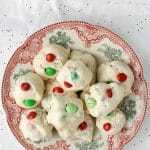 A magical vintage cookie recipe updated to be holiday minty with green or green and red M&M's. Basically a meringue cookie, Forgotten Cookies are a cinch to create and harden to a melt-in-your-mouth consistency made substantial by the nuts and chocolate. 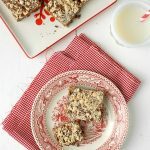 A fun, easy, grain-free option for your holiday 'baking'! Beat egg whites until foamy, approximately 3 minutes. Slowly add sugar while beating egg whites until stiff. Stir in salt, vanilla, pecans and 3/4 cup of the M&M's. Drop onto a baking pan lined in ungreased tin foil, a baking mat or parchment paper by the spoonful (I used a larger dining spoon or cookie scoop). Hand place the remaining M&M's on the tops of the cookies. Turn off the oven. Place cookies in the oven and leave until morning. *To make the cookies snowy-white use pure white granulated sugar. I used orangic granulated sugar which is slightly tan in color making the cookies off-white. Disclosure: I received copies of each cookbook for the purposes of this review. All opinions are my own. 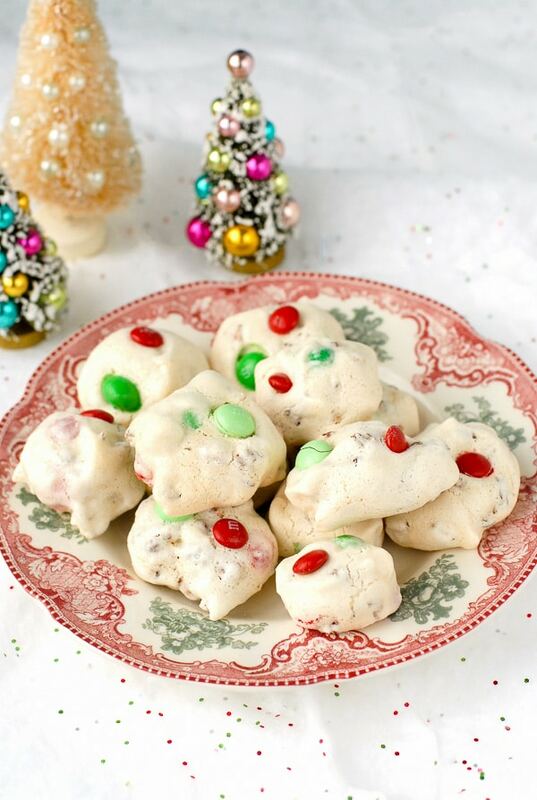 This recipe is one of the top high Altitude Cookie Recipes to Bake this Christmas! I am obsessed with the concept of “forgotten cookies”! Genius! I love Chocolate Peanut Butter No Bake Cookies. My favorite holiday treat is homemade snickerdoodle cookies. My favorite holiday treat is my Date Roll. My grandmother passed it down to mom and she passed it down to me. I admit it is rich in flavor but always reminds me of them both when I make it. I want these cookbooks please. I want these cookbooks. My little niece loves Hello Kitty, it would be fun to make some of these for her! I collect cookbooks. I love Hello Kitty. And…I want these cookbooks! My favorite treat is a pumpkin roll! I love to have this cookbook. 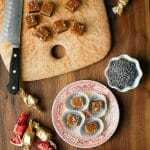 My favorite holiday treat is kabocha squash fudge! Thanks! i want these cookbooks. please. thanks. my favorite slow cooker “recipe” is beans: they come out so creamy and flavorful, especially my favorite black beans a.k.a. turtle beans. Dump aromatics, bay leaves, S&P and beans with lots of water (smoked meat, optional), turn on high until temperature maxes, give a good stir (so beans don’t compact from swelling). Turn cooker to low and go. Favorite holiday treat is much harder: sweet or savory? make or eat? serve or gift? eat at a rousing party or in an intimate circumstance? My sentimental favorite is everything at a traditional TDay feast, EXCEPT candied yams. Sweet potatoes are so delicious and nutritious just plain; why smother them in nauseating quantities of sugar??? I love Brussels sprouts & chestnuts in brown butter with nutmeg and lots of pepper. Also, homemade yeast rolls. And, Sanrio. Hi Jenna. I noted your confusion about the giveaway entry on the other giveaway and since this giveaway uses the same widget I wanted to flag you (if you have not figured it out) that you must access the entry options inside the Rafflecopter giveaway widget by logging in with your Facebook inforation or your email. I left you a longer response about it on the other giveaway you commented on. Sorry if it was confusing.